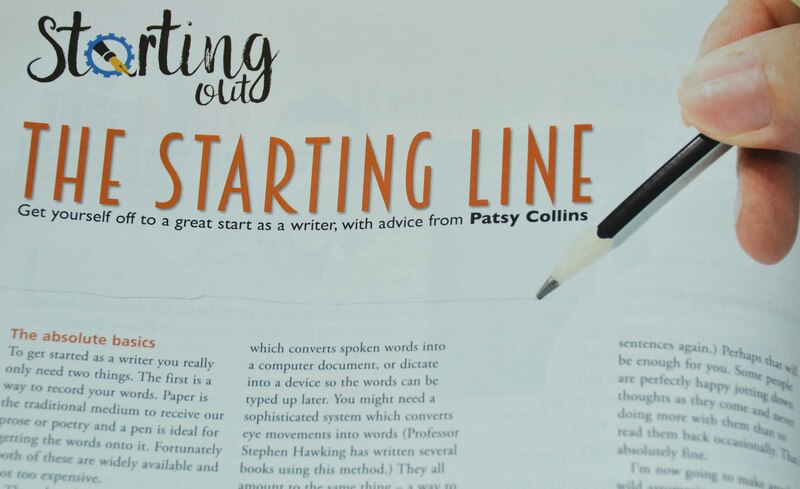 I have an article in the current (November) issue of Writing Magazine. The subject is getting started as a writer. Talking of writing about writing, today I saw a pdf of part of the layout for my new book From Story Idea to Reader which I’ve co-written with Rosemary J. Kind. It looks really good! As I (very nearly) have a non-fiction book, I’ve added a new page to the website. Don’t know if I’ll ever write another non-fiction one, but this time last year I didn’t know I was going to write this one. Previous PostHome againNext PostMine’s a double! Congratulations, Patsy! Sounds like a really helpful article for newbies. This reminds me that I have a little piece I meant to submit to Writer’s Digest. Maybe I’ll send it to Writing Magazine instead. Of course, it’s not easy to get into these writing magazines, but I’ll give it a try. It’s always worth giving it a try, Fay! Hi Patsy, I’m having a problem finding the submission guidelines for Writing Magazine! I can’t find them on their website. Can you direct me to them, please? Many thanks! Thanks for your encouragement, Patsy. Digging around on my computer trying to find the article now. I try to keep organized, but my system doesn’t always work! Thanks, Patsy. That’s a shame. Most magazines over this side of the pond say what they are looking for – number of words, payment, etc. I think I have a Writing Magazine somewhere that a friend brought back from England for me. I’ll dig it out and see what kind of articles they use, length, etc. Always helpful advice. Well done Patsy!